New European Poets presents the works of poets from across Europe. In compiling this landmark anthology, Wayne Miller and Kevin Prufer enlisted twenty-four regional editors to select 270 poets whose writing was first published after 1970. These poets represent every country in Europe, and many of them are published here for the first time in English and in the United States. The resulting anthology collects some of the very best work of a new generation of poets who have come of age since Paul Celan, Anna Akhmatova, Federico García Lorca, Eugenio Montale, and Czeslaw Milosz. Fischerová to the survivor's cry of Russian poet Irina Ratushinskaya. Poetry translated from more than thirty languages is represented, including French, German, Spanish, and Italian, and more regional languages such as Basque, Irish Gaelic, and Sámi. 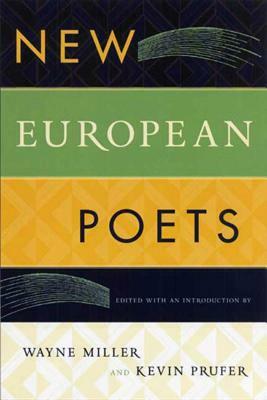 In its scope and ambition, New European Poets is destined to be a seminal anthology, an important vehicle for American readers to discover the extraordinary poetry being written across the Atlantic. Wayne Miller is the author of a book of poems, Only the Senses Sleep, and co-translator of I Don’t Believe in Ghosts by Moikom Zeqo.